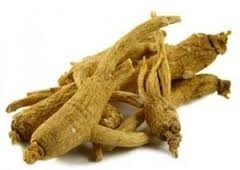 We A.M GROUP are Panax Ginseng Importers, Manufacturers, Suppliers, Dealers, Distributors, Sellers based in Delhi, India. certified product and has been produced under GMP regulations.Panax ginseng is fortified with essential nutrients, ginsenosides, phenolics, and saccharides that improve cognition, intelligence and mental faculties. The combination of this excellent herb with Ginkgo Biloba may boost the immune system and improves recovery times from an illness. Panax ginseng is fortified with essential nutrients, ginsenosides, phenolics, and saccharides that improve cognition, intelligence and mental faculties. The combination of this excellent herb with Ginkgo Biloba may boost the immune system and improves recovery times from an illness. 1- Restores homeostasis (optimizing all body functions) and anti-aging. 2- Improves cognitive brain function, concentration, thinking ability and memory. 3- Lowers elevated BP, improves blood circulation and promotes wound healing. 4- Boosts immune system, energy levels, reduces stress & regulates metabolism. We have been instrumental in offering our clients Ginseng Extracts which is also known as Panax ginseng C.A. Mey. Our offered extract is procured from the reliable sources who extract these from medicinal plants. Our product is available in different quality packages.